Do you and your partner desire to have one parent stay at home with the children while they are little? Our family has been there. Over 20 years ago I became pregnant with our first child and my husband and I knew then that we wanted one of us to be at home with our children 100% of the time. Here is our story of how we made it work–may you be able to use our story to make your dream of staying home with your kids a reality. 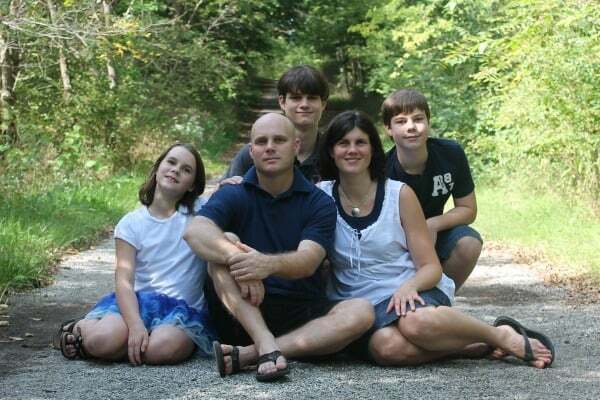 For our family, it made better financial sense for the stay-at-home parent to be me, the mom. When we found out we were expecting our first child, my husband was out in the job market already working a well-paying job, while I was in my second to last semester of my college degree that didn’t offer a well-paying job at the end of it without further education. However, I don’t think that it has to be the mom who stays home. In my twenty plus years of staying home with my kids, I have met a few stay-at-home dads and let me tell you–they are as capable as women are of caring for the children and doing the needed day-to-day household work. As for nurturing, I will let you in on a secret: when my children were little, they went to their dad’s side of the bed in the middle of the night if they were not feeling well. Why? Because he happens to be a registered nurse whose ability to soothe a sick child is greater than mine. I also don’t think it has to be one parent staying home full-time. I have seen some couples manage to work their schedules so that there is one parent home with the children at all times. This arrangement does make it tougher to find time to stay connected to each other, but it isn’t impossible and it does give your children the gift of staying home with their parents while they are young. One last thing I want to make clear is I know that keeping one parent at home while the children are little isn’t financially possible for all families regardless of how much they cut back their expenses. And I know that children will thrive regardless of whether a parent stayed home with them in the early years or not. But I do think if a mom or a dad wants to stay home with their kids they should do all they can to make it happen because it is so worth it. That said, I am glad that I chose to be the one to stay home. Sure, there have been exhausting days when I thought the laundry was breeding and the children were possessed by wild animal spirits, but between those endless loads of laundry and numerous cranky child fits there have been indescribable moments of pure joy in watching my children grow. From the first grin to first roll, the first step to the first word said, the first word read to the first word written, the first cake baked to the first solo car ride, and all the firsts in between and to come. I give my family my all. They are my greatest life passion and I take my role as the stay-at-home parent very seriously–I am the CEO of a corporation of five and I am not quitting anytime soon. 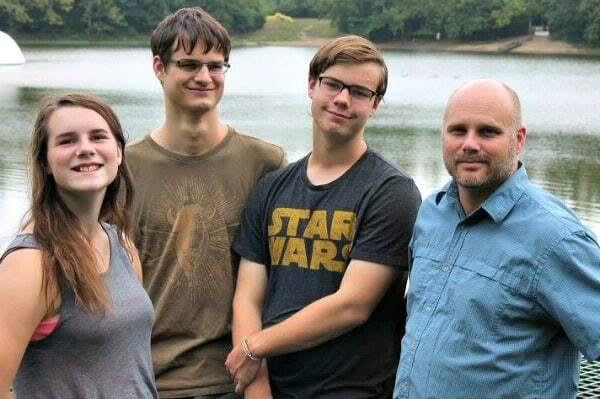 A family photo of us taken by a friend 2012. Thomas was 16, Aiden 12, and Courtney 10. 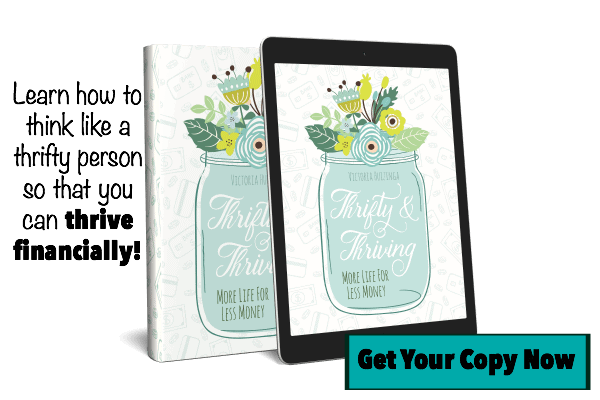 In the early days of my children’s lives, I read every book on how to reduce your expenses that I could find and tried out thousands of ways to stretch money further. We kept doing what worked for us and tossed ideas that didn’t. 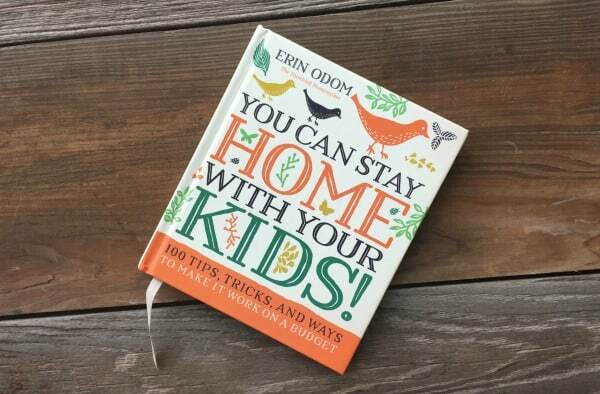 If you have no clue how to save money on essential household expenses I think a great book to start with is You Can Stay Home With Your Kids: 100 Tips, Tricks, And Ways To Make It Work On Any Budget. In the book, the author goes over how to eat well on a budget, save money on household cleaners, entertain your family without spending a fortune, shop secondhand wisely, decrease health-care costs and how to hunt for deals on houses and cars. Fall 2009 at the completion of my first half-marathon. My husband surprised me by getting everyone matching shirts with “Team Victoria” printed on the back. 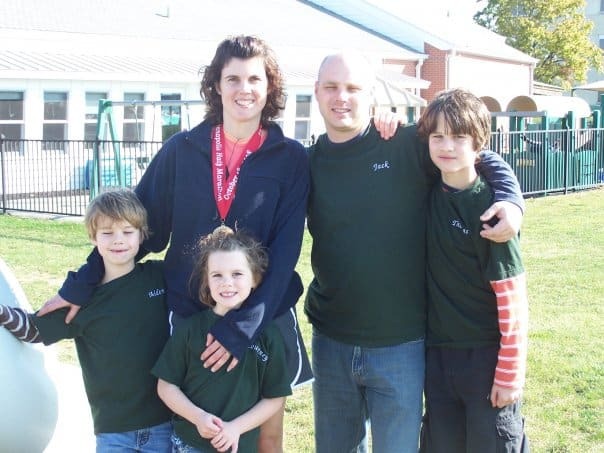 Soon after our first son was born, I went through the process of opening a licensed family daycare out of our home that I then ran for six years. After that, I made money through reselling items on eBay and now I earn money writing this blog. All these jobs have allowed me to stay home with my children while supplementing our income. 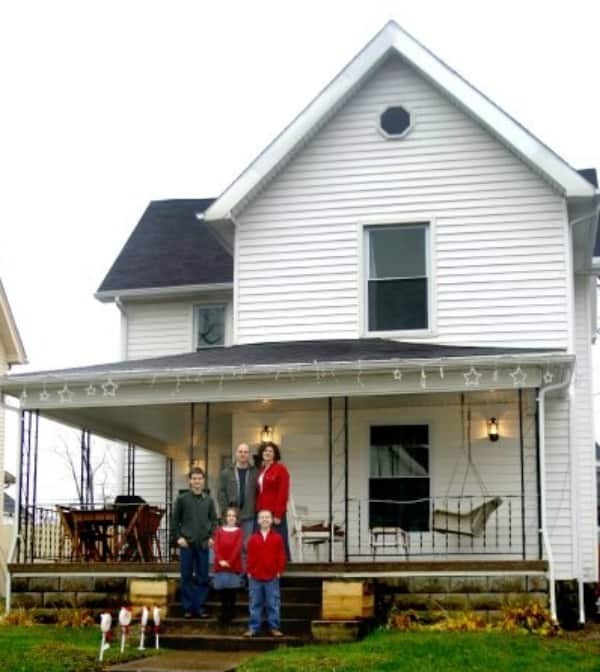 Our family in front of the home we bought for $10,000 in 2007 and then took two years to renovate. We did most of the work by ourselves and moved in in the Spring of 2009. My husband has worked two jobs almost our entire marriage. He sometimes works more than 60 hours a week to make sure our bills are paid.The money from his second job has helped pay for emergencies such as appliances that stopped working before we thought they would, major car repairs, home repairs and emergency room bills. His second job has also allowed us to do fun things such as taking vacations, enjoying a few meals out now and then, and allowed both of us to enjoy a hobby or two. 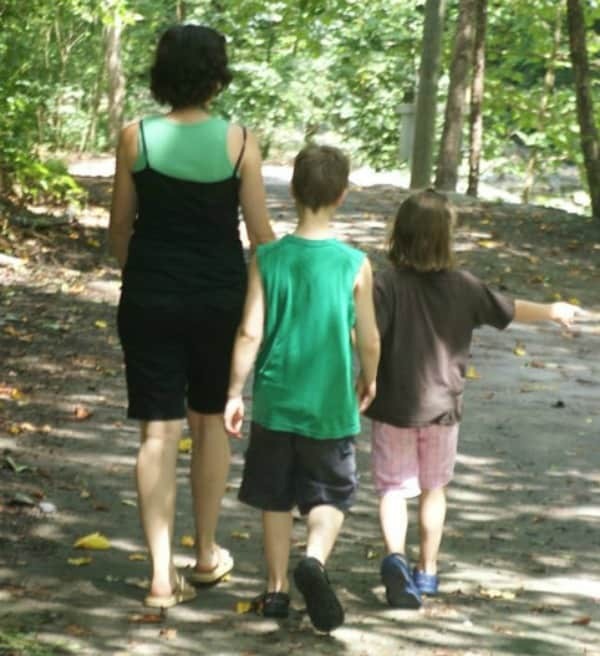 Fall 2010: Me and my two youngest children, Aiden and Courtney. Our first child is a honeymoon baby, which meant very early in our marriage we set up our expenses to fit within one income. We didn’t take out a huge mortgage or car loan as a newly married couple. We did have a bit of credit card debt, but paid that off fast. We also had student loan debt, but soon came up with a plan to pay it down early. We were around 3/4 of the way from paying off our student loan debts when we received our first sizable inheritance, we then went on to receive three more. Through these inheritances, we paid off the rest of the student loan debts, our car debt and our mortgage–leaving us debt free. 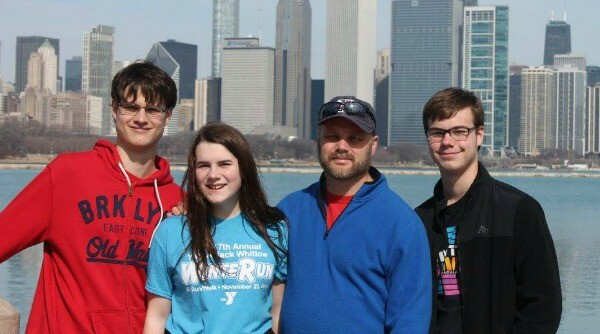 Spring 2015: Jack and our three children at the waterfront in Chicago. For us unexpected blessings mean inheritances, but for you it might something else–basically I mean any money that is beyond normal month-to-month paychecks. Yes, it is true that few families are going to find themselves with four sizable inheritances like we did, however, a good portion of all bonuses–no matter how small–can be used to improve your financial position long-term. For us, that meant using the inheritances to become 100% debt-free including our home, setting up an emergency fund, buying two rental properties and investing in a laptop, DSLR camera and a blogging conference so I could improve my blogging skills and in turn grow the income I receive from it. 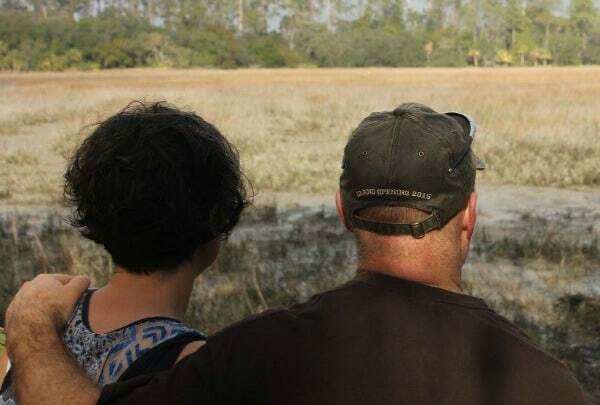 We did also use a smaller portion of the money to do a few family memory making things we could never have done otherwise, but the bulk was invested in ways to increase our income. Winter 2017: A moment of just the two of us caught on camera by one of our children during our epic family road trip. My husband and I don’t live our lives in role boxes. He doesn’t just work outside the home; he also will come home and cook the bacon and eggs for our dinner so that I can finish up a blog post. I don’t just do the laundry and bake cookies; I also figure out how to take the money we have and either stretch it as far as we can or figure out what we could do to increase it so we can reach our next financial goal. We are a team! Over the years we have learned each other’s strengths and weaknesses and have used those to make decisions as to who does what–and I think that has been vital to our ability to financially keep one parent home these past 22 years. Fall 2015: Taken at the Indy Art Museum grounds. 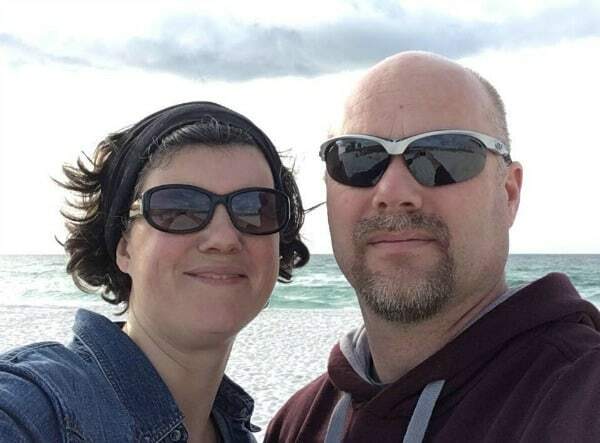 My husband and I are believers in the power of prayer. Many times we prayed for God’s provisions and then saw God provide almost immediately. Other times we waited months, years and in some cases on some issues we are still waiting. One small story of an answered prayer was one fall day when the weather was turning from warm to cold and I realized one son didn’t have a winter coat that fit. I knew there was only a little wiggle room in the next paycheck so I prayed for God to help me stretch that wiggle room far enough for a coat. Later that week I was at a $5 bag sale a local thrift store used to hold and before entering the store I prayed one last time, “Lord, I need a coat for my son.” One of the first items I laid eyes on when I entered the doors was a like-new Gap winter coat in the exact size my son needed. I filled up the rest of the bag with other items we needed. After I had finished stuffing my bag that day it worked out that the like new coat cost 50 cents. March 2018: Just the two of us on a camping trip to Florida for my birthday. We are 22 years into our keep-a-parent-home journey (there are just over two years left until the last child graduates) and we still do all the steps I listed to keep me home with the kids. We are financially more stable than we once were. I no longer have to pray about where winter coats are going to come from, but now we pray for how we can best financially help our children through college. I still work at home and my husband still works two jobs (but the second job is now mostly used to fund fun stuff). We still budget and we still use money saving tips to stretch our hard earned dollars. And we still love having one parent at home full time. This post was inspired by the new book; You Can Stay Home With Your Kids: 100 Tips, Tricks, And Ways To Make It Work On Any Budget. Although I was given a free copy of the book in exchange for a review, I did not have to write a post that included it–that was my choice. The book stirred a lot of emotions in me, not because it is an emotional filled read (it is actually a very practical book), but because I am a mom at the other end. I am a mom who stayed home with her kids and now looking back at the last 22 years I can say without a doubt it was the most rewarding career decision I ever made. 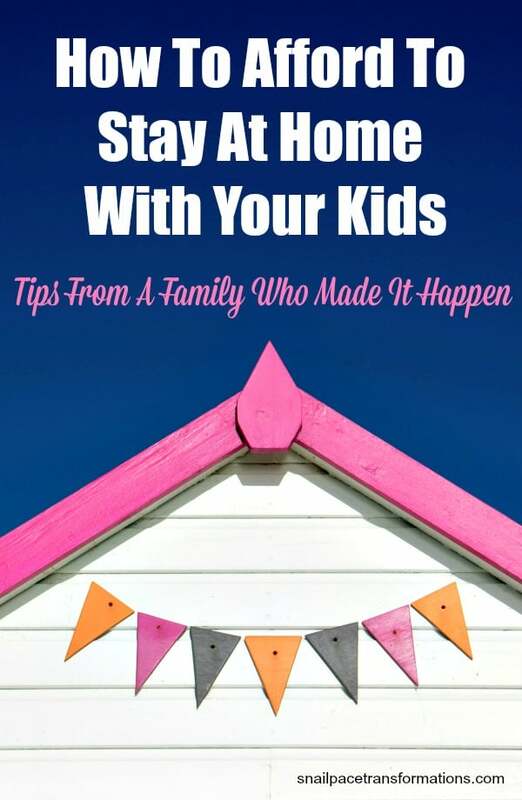 If you too want to be a stay-at-home parent, but you have no clue how to reduce your expenses so you can make your desire a reality, the book You Can Stay Home With Your Kids is a good practical manual that can get you started on your journey to living on less so that you can stay home with those precious children.